As UK pupils studying core science, technology, engineering and maths (STEM) subjects continue to decline, exam board figures have revealed that grade boundaries of some GCSE science examinations were changed halfway through 2012, placing many students at a disadvantage. According to an article by the BBC today, year 10 students who sat the AQA board’s chemistry and biology module back in January were required to achieve 11 more marks to achieve an A* compared with students who sat the same modules in June. Schools can choose whether to enter pupils for the exams in January or June, with the results counting towards pupils’ final grade in year 11. The article revealed that less than 1% of AQA biology students achieved the A* grade in January, whereas more than 10% managed to obtain the grade in June. For chemistry, 2% achieved an A* in January and almost 12% in June. A spokeswoman for AQA was quoted as saying: "The level of difficulty of exam papers can vary from one exam series to the next, so grade boundaries can vary depending on the demands of the assessment. As a result, grade boundaries vary between exam series. This is an established feature of the system and the variances are often greater when a qualification is new. "There were differences between the numbers of candidates getting top grades in the January and June science units. This is because the candidates varied in ability at the same time as the exams varied in difficulty. So, in biology and chemistry, the grade A boundaries were lower in June than in January and more students achieved a grade A." The news comes amid massive changes to the education system, announced by Michael Gove this week. The Education Secretary announced, during a joint press conference with Deputy Prime Minister Nick Clegg, that GCSEs will be abolished and a tougher, new O-level style system will be established. 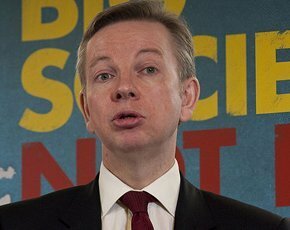 The system, dubbed ‘Gove levels’ will not come into effect until September 2015, meaning Labour could scrap the idea if they win the next election in May 2015. The first exams are planned for 2017. Gove’s system is designed to ensure the top grades only go to the brightest students. Currently nearly three in 10 students get A or A* grades, whereas after Gove’s shake-up only one in 10 are expected to achieve the top grade of Grade 1. Replacing the current system – a combination of course work and a 90-minute written exam – marks will now depend solely on an all-or-nothing three-hour exam. Pupils will also no longer be able to take resits of each exam module, but will have to retake the entire exam in a bid to deter students from applying for resits. The move would be the biggest exam change in a generation - GCSEs were introduced back in the late 1980s to replace the O-level and CSE system. The first GCSE exams were sat in 1988. Since then, the pass rates have gone up every year apart from 2012, which sparked claims that the exams were becoming progressively easier yet were harshly graded this summer.